STM 1/c Reuben Ayers, Jr., son of Mr. and Mrs. Reuben Ayers, Sr., graduated from Boyd High School. 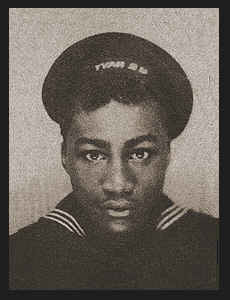 Entered Navy in March, 1944, trained in Bainbridge, Md. ; served in Guam, Saipan, New Guinea and Japan. Awarded Good Conduct Medal, the Purple Heart, Asiatic Pacific Ribbon with three Battle Stars.